a method of research in which a problem is identified, relevant data are gathered, a hypothesis is formulated from these data, and the hypothesis is empirically tested." This applies to all scientific theories, except one - the theory of anthropogenic global warming. In this one field, consensus, rather than scientific method, is the primary criterion used to judge the viability of the theory. In a recent illustration of this double-standard, CERN released findings claiming an exotic particle called a neutrino could possibly move faster than the speed of light. If true, this contradicts none other than Einstein's theory of special relativity and could upend our understanding of physics. So -- as happens with the scientific method -- a healthy skepticism has followed the claims. The findings were published to allow for the physics community to scrutinize the results and to either find flaws with the study or to verify the findings with their own experiments. That's how science works. Because it was such 'a crazy result', the team was releasing its data, based on three years of measurements, so that others in the scientific community could confirm or refute the findings, he added." So what does this mean? It means that the physics community is having an open, honest debate about Einstein's theory of special relativity, a theory which has been experimentally verified in a variety of fields for over 100 years. 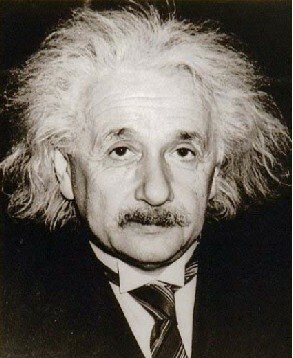 In other words, even E=mc2 can, in good faith, be questioned. "Scientific inquiry is generally intended to be as objective as possible, to reduce biased interpretations of results. Another basic expectation is to document, archive and share all data and methodology so they are available for careful scrutiny by other scientists, giving them the opportunity to verify results by attempting to reproduce them ..."
This scientific method of inquiry does not apply when it comes to the debate on global warming. Those who question this 'consensus theory' of AGW are branded racists, traitors, blasphemers, and as immoral. AGW believers have called for prosecution, incarceration, and professional decertification of climate change skeptics. - Data is falsified or suppressed. - Skeptical scientists are silenced, or targeted for professional excommunication. - FOIA requests for climate data are blocked or obstructed. 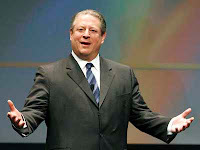 Mr. Gore repeatedly claims that the "debate is over". Mr. Gore, methinks thou dost protest too much ... If you have to declare that the "debate is over" (over and over and over again), then - well, maybe the debate isn't really over. After all, if a group of scientists can question whether or not E=mc2, then maybe there is some room for debate left on the topic of anthropogenic global warming.